The NFL season is now over, and the Panthers have long since been eliminated. By the time they kickoff again, Charlotte may have more certainty around where the team will play and practice in the future. The Charlotte City Council is gearing up for negotiations with new Panthers owner David Tepper, hoping to forge a deal that keeps the team’s stadium, business operations and practice facility within city limits. But South Carolina is in the mix as well. There’s always a little bit of gamesmanship involved between cities and their pro sports teams. Teams often use the threat of leaving town to extract public money. Even though former Panthers owner Jerry Richardson was a Carolinas native, he did the same thing. Back in 2013, Richardson negotiated a deal with the city of Charlotte to get taxpayer help in renovating Bank of America Stadium. Those six years are now up. Complicating matters, the Panthers also have a new owner. Current Panthers owner David Tepper has no real ties to the Carolinas and presumably would feel less emotionally conflicted about moving the team. 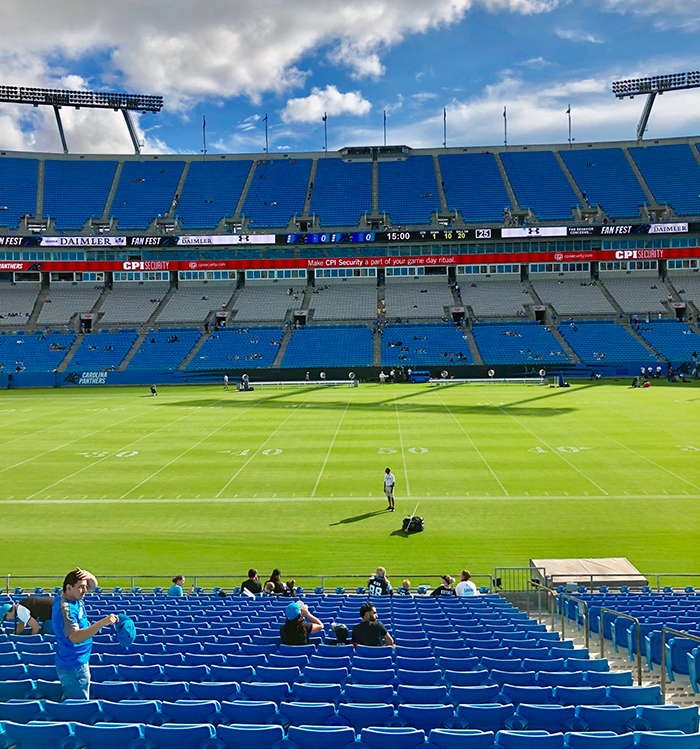 Tepper has given no indication that he wants to move the team from the Charlotte area, but the idea of investing outside of city limits is very much on the table. “I view this as the Carolina Panthers in both states, so we have to think about where we’re putting things,” Tepper said last July. 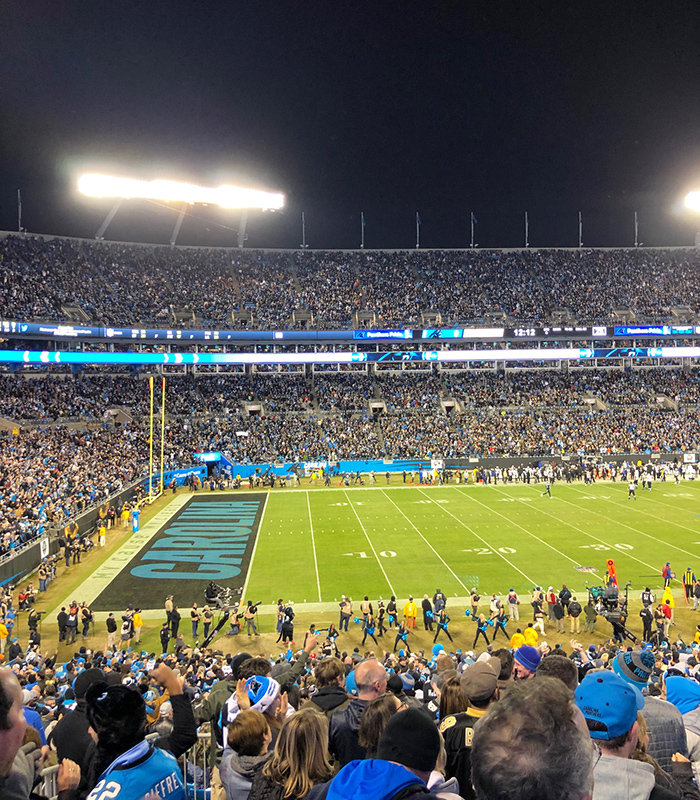 The city of Charlotte estimates that the Carolina Panthers generate more than $636 million in economic activity each year and sponsor some 5,000 jobs. That’s a lot, and the city will work hard to keep the team here. Negotiations between the Panthers and the city will likely center around these six things. This is obviously the big one. The Panthers stadium has been in Uptown Charlotte since the team’s inception in the 1990s and draws some 70,000 people to the center city each gameday. Unlike many cities, Charlotte did not build the stadium. Richardson financed the stadium construction by selling personal seat licenses, or PSLs, that give people the right to buy season tickets. However, the city and Mecklenburg County did lease the land the stadium sits on to the Panthers for just $1 per year for 99 years. This is likely to be the focus of negotiations. 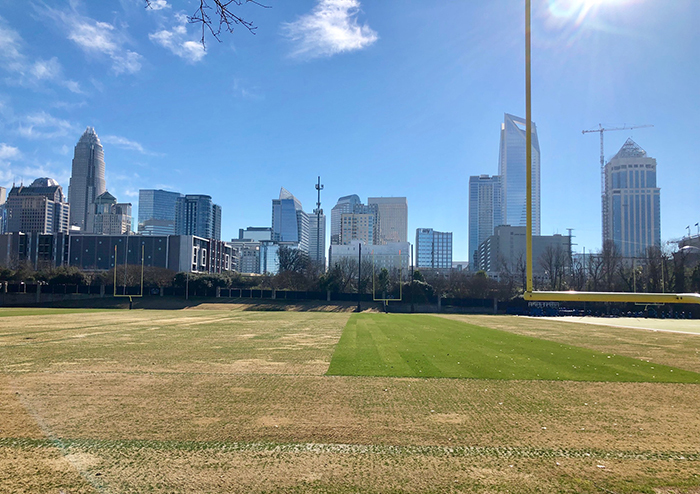 Right now, the Panthers have an outdoor practice facility on 7 acres right next to Bank of America Stadium. When the weather’s bad, the team is forced to cancel practice or use the Charlotte Convention Center. The team is likely to want a new, indoor facility — and Tepper has indicated that he’d like it to be part of a larger mixed-use development with hotels and restaurants. That’s the trend in NFL cities. This could be in Charlotte on the same land by the stadium — or it could be anywhere within reasonable driving distance. The Minnesota Vikings, for example, built a glitzy new practice facility last year in the suburb of Eagan, about 20 miles outside of Minneapolis. 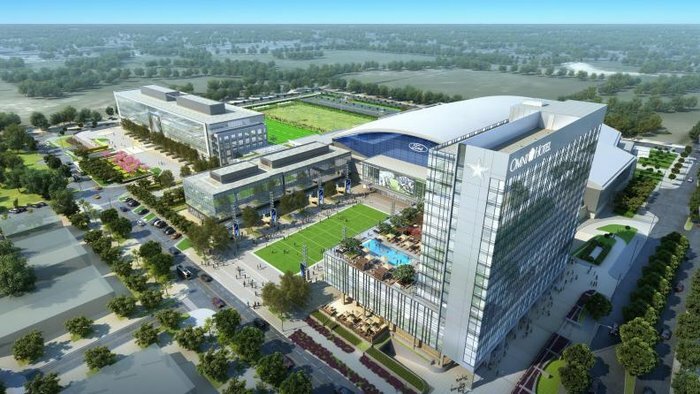 And the Dallas Cowboys have a new $1.5 billion facility in the suburb of Frisco. Anchored by a 12,000-seat stadium and practice facility, it also has a commercial building and hotel. Currently, the Panthers’ business operations are headquartered right inside Bank of America Stadium. The team could presumably clear out and use that space for events or other revenue-driving activities. Then the offices could move elsewhere — perhaps in the development anchored by the practice facilities, or somewhere else. Bank of America Stadium has very, very little parking. However, the city does maintain a number of surface lots in and around Uptown. Negotiations could include offering up parking options to the Panthers, who could then use it to make more money. Tepper has indicated that he’s open to hosting an expansion soccer team at Bank of America Stadium. The city is somewhat interested in this as well. Tepper could perhaps make some concessions to the city regarding soccer as part of a deal. Similarly, past deals for public money have included giving the city rent-free use of Bank of America Stadium for a limited number of days each year. The city doesn’t always use all of their days, but it’s a nice perk. How do the Panthers’ facilities stack up across the league? Bank of America Stadium was built in 1996, making it relatively old compared to other NFL stadiums. 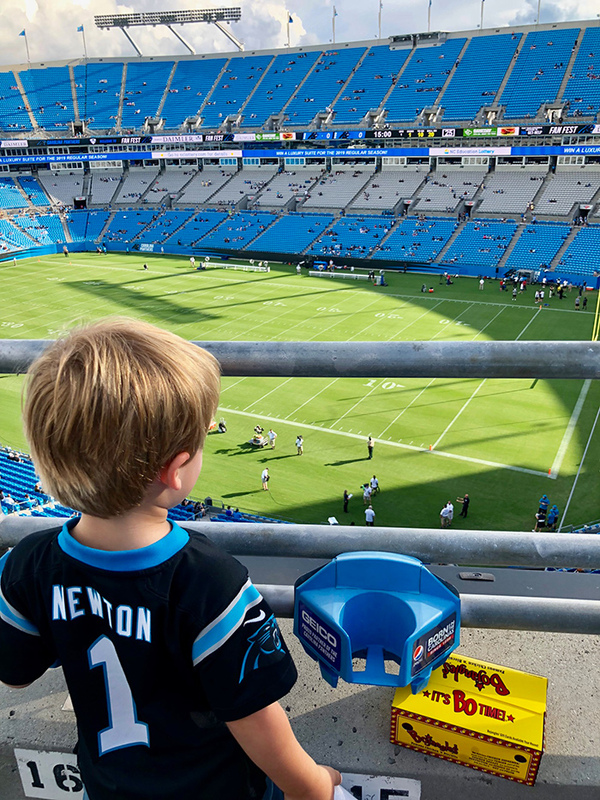 Only 9 in the league are older, though former Panthers president Danny Morrison was often quoted as saying the stadium has “good bones.” Out of the 32 NFL stadiums, Sporting News ranked the stadium No. 24 — not good. A new stadium would be a tremendous expense. The new Mercedes-Benz Stadium in Atlanta cost nearly $2 billion. The practice facilities are among the most spartan in the league. What could Charlotte and the Carolinas offer now? Let’s start with what’s been offered historically. The city of Charlotte’s original offer in 2013 was $200 million in taxpayer money toward stadium renovations in exchange for a 15-year tether. That type of deal could certainly be renewed. Charlotte’s economic development committee chairman, James “Smudgie” Mitchell, did not respond to a request for comment. However, because of the scope of what Tepper could ask for, North and South Carolina could treat this as a headquarters expansion or relocation. 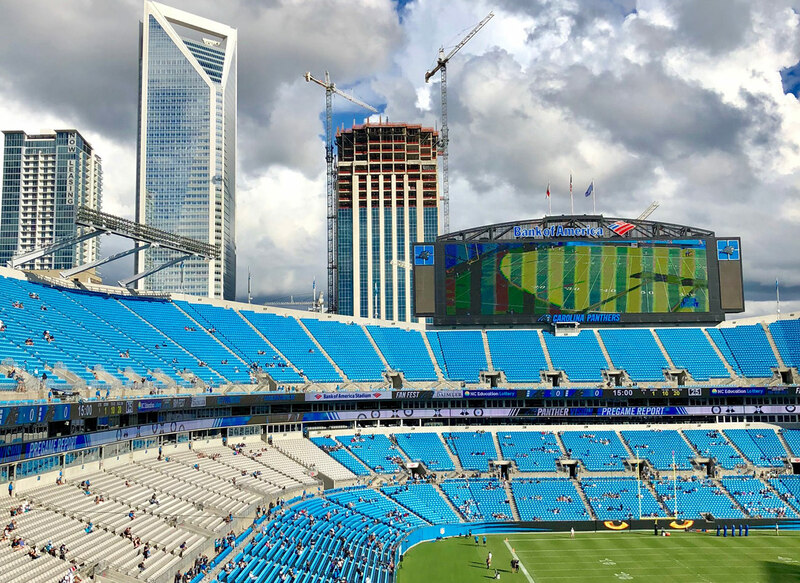 For the new practice facility and business headquarters, the Panthers may be eligible for local and state economic incentives generally given to businesses creating new jobs. North Carolina has a Job Development Investment Grant that pays cash to businesses creating at least 50 jobs in urban counties. These types of could be sweeter from South Carolina, since this would be bringing new business to the state. South Carolina will refund much of a business’s income tax, and localities will add more incentives on top of that. David Swenson, director of York County Economic Development, declined to comment. How would Charlotte pay for incentives? The primary way Charlotte pays for incentives for the Panthers is through its tourism tax funds. Created in 1985, the “Tourism I” fund takes money from a 3% hotel occupancy tax and a 1.5% rental car tax, and is used for capital projects related to cultural and sports facilities. It’s also the source for that last big Panthers incentive deal. This bucket of money is getting pretty thin, though. Over the next five years, this fund will pay for renovations to Discovery Place, upgrades to the Spectrum Center, a new Memorial Stadium field and expansion of the Blumenthal Performing Arts Center. The city is also considering building a 1,000-room hotel. Charlotte has also tried to get state legislative approval to raise other taxes to give to the Panthers. 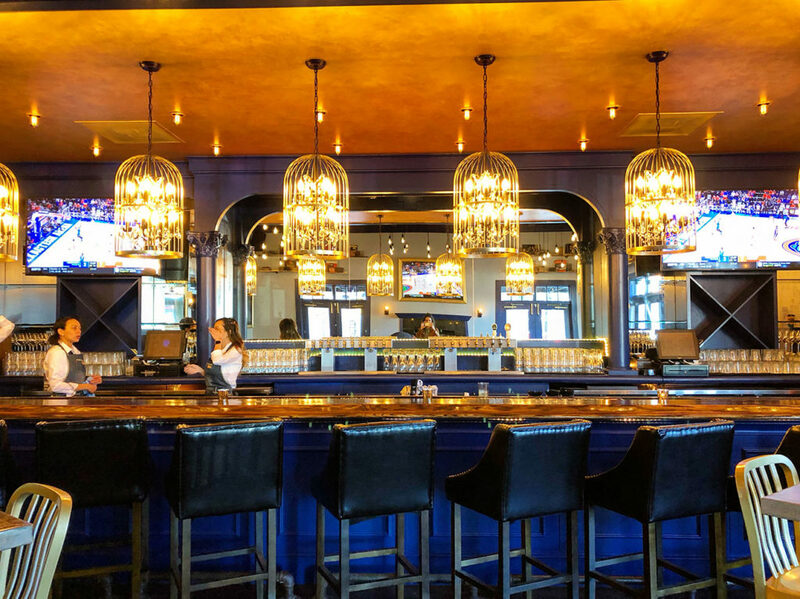 In 2013, the city struck out when it asked the state to allow them to double the prepared food and beverage tax — essentially a sales tax at restaurants and bars — from 1% to 2%. That effort could be renewed. Bank of America Stadium is likely to stay where it is, with some new renovations with city taxpayer help. But the practice facility and team HQ seems destined for South Carolina. The Post & Courier in Charleston has cited unnamed sources saying the Panthers are close to a deal for York County. One site is the former Charlotte Knights baseball stadium. While it’s not a done deal, it feels close to it. However, that could end up being a net positive for Charlotte. The same Post & Courier report said Tepper would consider extending light rail service into South Carolina as part of the plan.